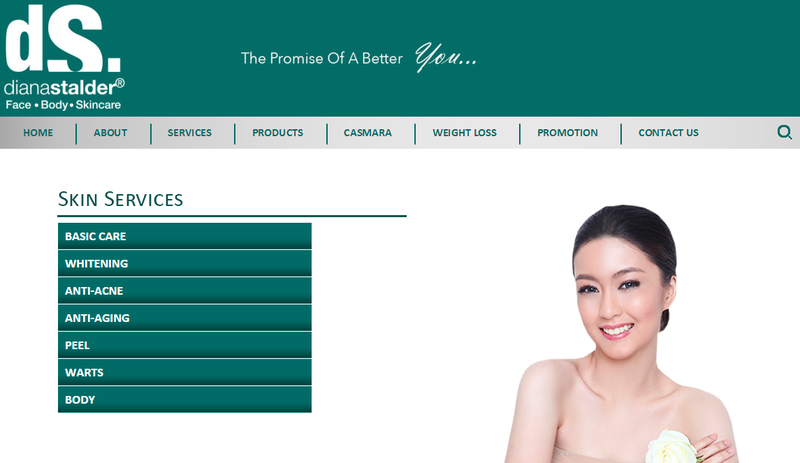 Diana Stalder (DS) Face, Body, and Skincare Center, recently launches their official website to serve many people not only in our country but in the whole wide world. Since many can access the internet, every establishment has an official website to serve everybody and DS will not be late on this new trend. Diana Stalder (DS) Face, Body, and Skincare Center offers services and treatments for all types of skin especially the delicate ones. Skin services includes Basic care, Whitening, Anti-Acne, Anti-Aging, Peel, Warts and Body. 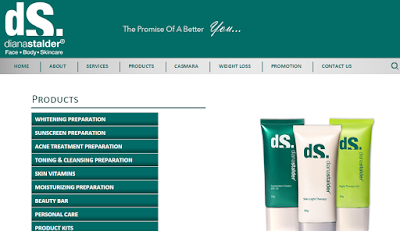 Diana Stalder (DS) Face, Body, and Skincare Center uses exclusively a Casmara products for facial masks that redefined facial treatments depending on the demand of your skin. Diana Stalder (DS) Face, Body, and Skincare Center line up of products that is formulated by Stalder Laboratories, specializes personal approach and provide guidance. The website provides you with a complete description and uses of each products according to your skin needs like Whitening Preparation, Sunscreen Preparation, Acne Treatment and more. 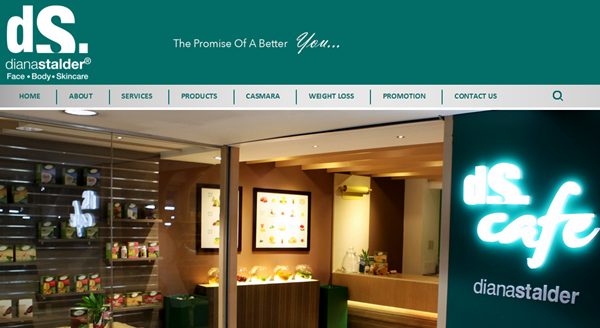 Diana Stalder (DS) Face, Body, and Skincare Center also have DS Cafe in some branches that offers meals and beverages suited for weight conscious. 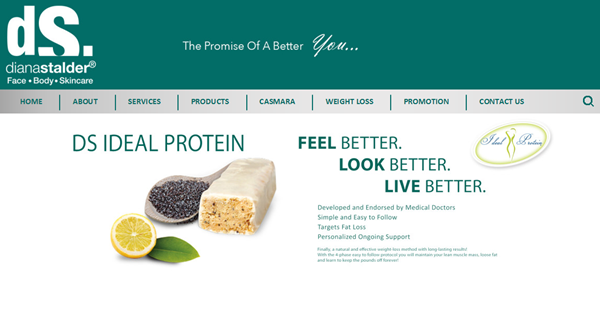 This also features "Ideal Protein (IP)" products and program. I will share with you more about the IP products soon and let us all be healthy to live life to fullest. 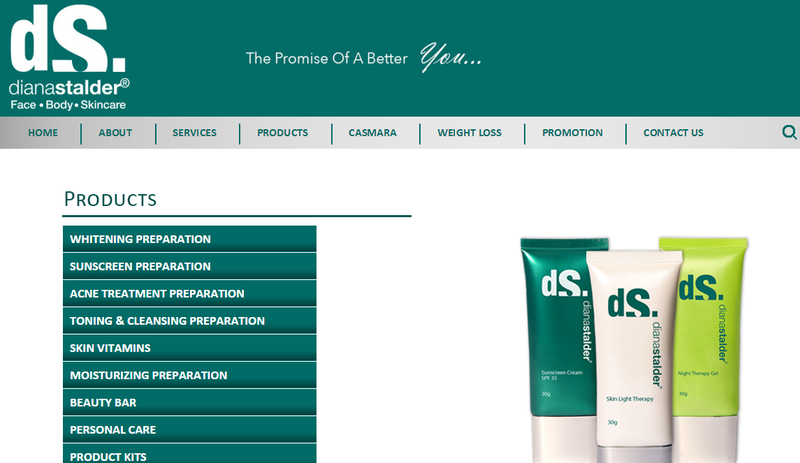 All of this and more are now accessible in Diana Stalder (DS) Face, Body, and Skincare Center official website, just visit http://swisse-phil.com/dianastalder/.